This Fall, Showtime's Dexter will begin its sixth season, where main character Dexter Morgan will once again take on the serial killer population of Miami. As reported by Billboard, hip hop legend Mos Def will join the cast for a multiple episode story arc during the sixth season, alongside Michael C. Hall, Jennifer Carpenter, and many more. 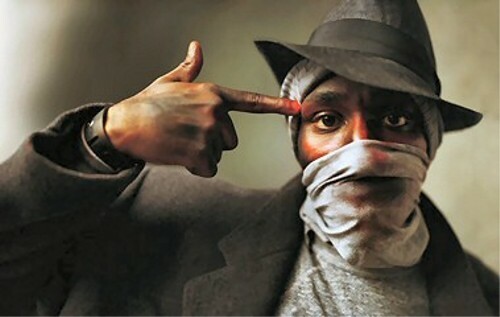 According to Billboard, Mos Def "will play a hardened ex-con who claims to have found religion yet seems to continually find himself surrounded by violence. Michael C. Hall's Dexter will reveal the truth of who he really is." Season six will also be starring Colin Hanks (Mad Men), who is set to be the villain. Production will begin next month, while the show will begin airing sometime this Fall. [Listen] Panic! at the Disco & fun. - "C'mon"
ReviewsShey May 12, 2011 Panic at The Disco, fun.